Top 10 Small Towns to Travel to in the U.S. If you’re looking to experience “quintessential America” on your next vacation, ditch the big cities and head to one of the charming small towns dotted across this beautiful country. You’ll get better value (and hospitality) for your money and more of an authentic American experience than if you spent a week in a highly commercialized and tourist-laden city. If you need some inspiration, start with our list of the top 10 small American towns! If you’re looking for tranquility mixed with a healthy dose of fun on the west coast, you’ll be hard pressed to find a better town than Lake Tahoe. Choose from a variety of adventures or just enjoy the serenity of one of the most beautiful lakes in the country. Skip crowded Orlando and loud Miami in favor of sleepy Sanibel Island. This laid-back town is known for its small-town hospitality, beaches that are perfect for shell collectors and we can’t forget their stunning sunsets. Enjoy the many restaurants and unspoiled beaches for a truly relaxing getaway. 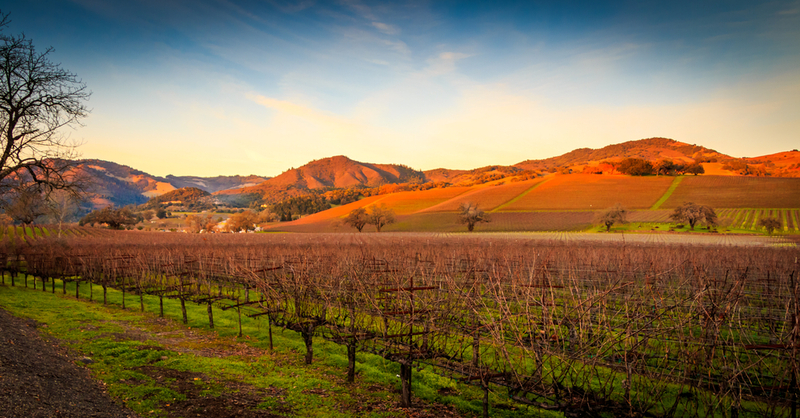 Wine lovers can’t miss the beauty that California’s (other) wine country offers. If you want to avoid the crowds and exorbitant price-tags of Napa, Sonoma is a gem filled with lots of Spanish flair and plenty of dining and entertainment options- that’s if you don’t spend the entirety of your vacation tasting your way through the plethora of wineries! Outdoor enthusiasts and skiers are sure to feel right at home in Wyoming’s most beautiful town, Jackson Hole. Framed by the peaks of the Grand Tetons, this town has more activities than you could enjoy in one vacation, and that’s without visiting nearby Yellowstone National Park. Whether you’re skiing down a mountain or whitewater rafting or just enjoying the local flair, Jackson Hole has something for everyone. Sedona’s picturesque landscape enchants visitors who come for the renowned hiking but stay for the small-town vibe. Over 100 hiking trails wind through this rugged and colorful landscape, meaning you could hike for a month and never see the same scene twice. If you’re looking to get back to nature or wanting to enjoy ultimate relaxation at one of the world-famous local spas, you’re sure to be pleased with a trip to Sedona. This charming New Jersey shore town has all of the makings of a great family trip: sandy beaches, fun family rides, delicious pizza, and even an aquarium. As one of the smaller New Jersey beaches, this town offers a great deal of fun without the feel of a resort beach town. If you want to get away without breaking the bank, but don’t want to sacrifice great views, check out Telluride, Colorado. Nestled at the base of the Rocky Mountains, this hip ski town is bustling with activities no matter the season. Take a hike to spark Instagram-envy amongst your friends or join the throng of people shredding powder on the mountain and then dance the night away at one of the uproarious neighborhood bars. For the best of Maine, head to Bar Harbor for relaxing boat rides, some of the best seafood you’ll ever have in your life and pristine views of the Atlantic. If lazy vacations aren’t your cup of tea, spend a day (or three) exploring nearby Acadia National Park to kayak, hike Cadillac Mountain, (the highest point on the East Coast) or spot wildlife like whales, moose, and bears. Eastern Utah is home to some truly unique rock formations and Moab is the best place to explore them. Wind down trails at Arches National Park hunting for dinosaur tracks or historical Native American art and then spend the night star-gazing at the splendid night sky. If you were considering Myrtle Beach for your family vacation this year, give the less-commercialized Hilton Head a try instead. While you won’t find amusement park rides and loud bars and restaurants, you will find tranquility, beautiful spaces where you and your family can enjoy nature and plenty of active water sports like kayaking and paddle-boarding.